The Energy Transition is a process driven by the aim for more sustainable energy sources enabled by technological progress. T&D Europe members are fully committed to bring Europe to a low carbon economy in 2050. Our technologies can enable power systems accommodating the integration of the increasing share of renewable and distributed energy sources. The new energy reality will be increasingly decarbonised, digitised and decentralised. At the same time citizens will be able to actively manage their energy consumption and production as a prosumer, as part of a microgrid or otherwise engaging with a much more flexible electricity grid. New digital tools, data access and analytics will facilitate and enable this interaction. Can the EU make the low-carbon economy a reality? Yes, we can. All the necessary technological solutions are already available and sometimes part of the energy system. Its capacity to innovate enables the European T&D sector – as global technology leaders – to design, develop and deliver new products and solutions. However, more needs to be done to allow market players to invest in new capabilities, such as prosumption, microgrids, automation and digitalisation of the distribution grid, incorporating storage. T&D Europe has identified the key building blocks for the construction of the low-carbon economy: microgrids, e-mobility, data interoperability, cybersecurity and smart digital grids can turn ambitions and vision into reality. In a series of 5 publications T&D Europe outlines the path towards a low-carbon future. 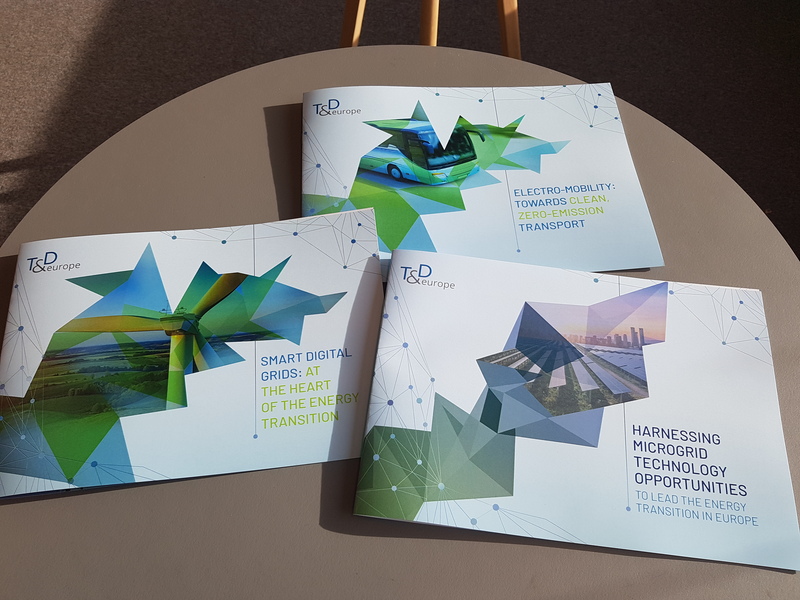 Our views on electro-mobility, microgrids and smart digital grids are available for download on the T&D Europe website.